Be sure to check out “Yoga for You. Yoga for Kids.” on Tuesday nights and Yoga for Athlete classes on Sunday afternoons before spring sports get into full swing. Both offer an opportunity for kids to stretch, strengthen, and work on flexibility. See schedule below. Coming next week! We will be introducing a new Rewards Program to go with our new registration system. Exciting! (If you still have passes in the old system, I will contact you directly to transfer your passes). August Back to School Yoga Camp enrollment will open on Sunday, April 7 at 8pm on www.butterflykidsyoga.com/camps. July Mid-Summer Yoga Camp enrollment opens on Monday, April 22 through Victor Rec’s system. Plus — this week’s schedule is below. Hope to see you in class soon! Ages 5-12. Stretching, flexibility and great exercise — in a welcoming and fun environment. Adult Yoga. Align and Flow with Heather. Focus is on proper alignment, stretching and lengthening. Schedule a Yoga for Sport Teams session for your team! LEARN MORE HERE. 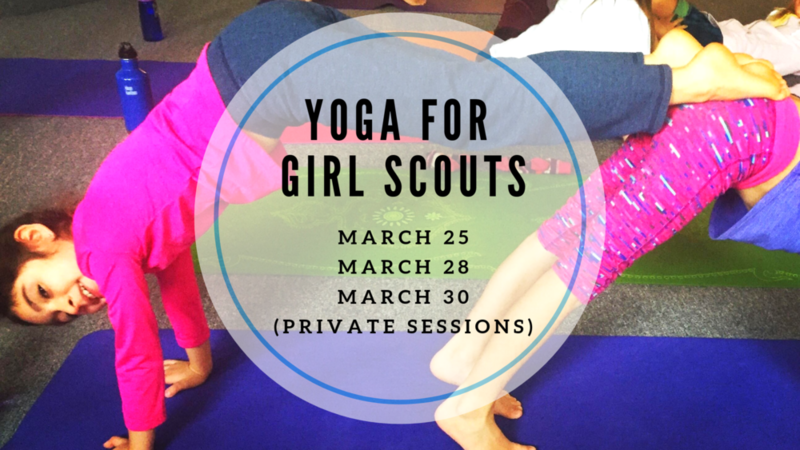 Host a Girl Scout Yoga session for your troop! LEARN MORE HERE. Teen, ages 14-18. 5-6PM. BUY YOUR PASS. Stretching, mobility, flexibility, injury prevention and more. Physical and mental benefits. No prior yoga experience required! Mondays, 1:00-1:45PM. 4/22-5/20. ENROLL HERE. Fridays, 10:00-10:45AM. 4/12-5/17. ENROLL HERE. Thursdays, 10:00-10:45AM. 4/4-5/16. ENROLL HERE. 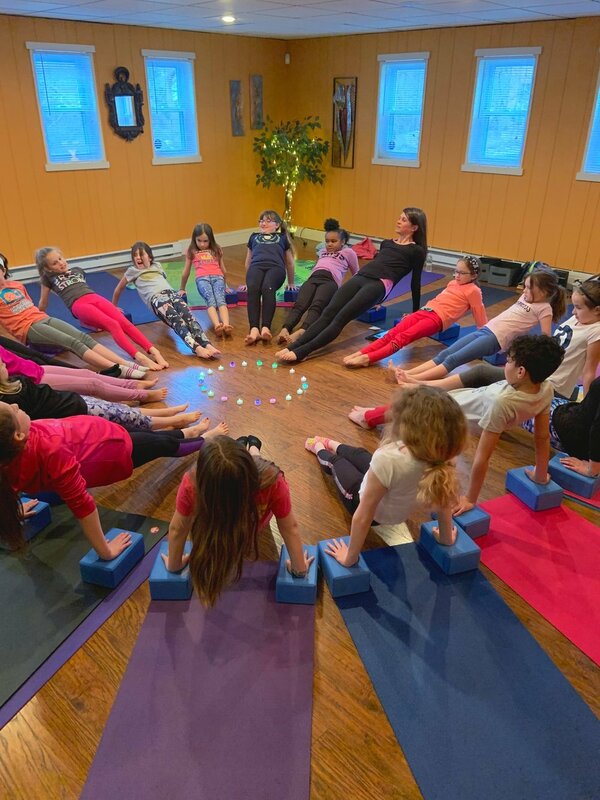 Tween Yoga + class. Incredibly strong and self-confident! Yoga for Sports Teams. Extending and lengthening! Yoga for Preschools. The happiest, tallest mountains!